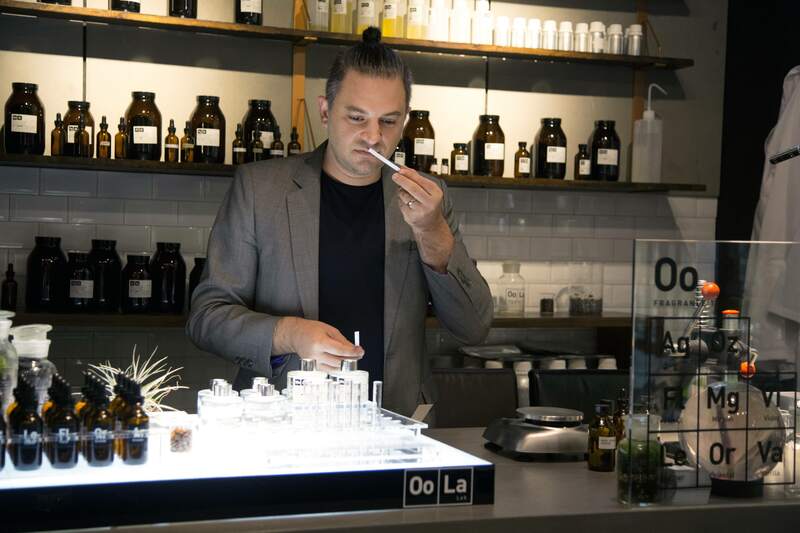 Can’t seem to find the perfect fragrance to complement your style and personality? Or simply looking to switch things up? Whichever it is, we’ve got the solution! 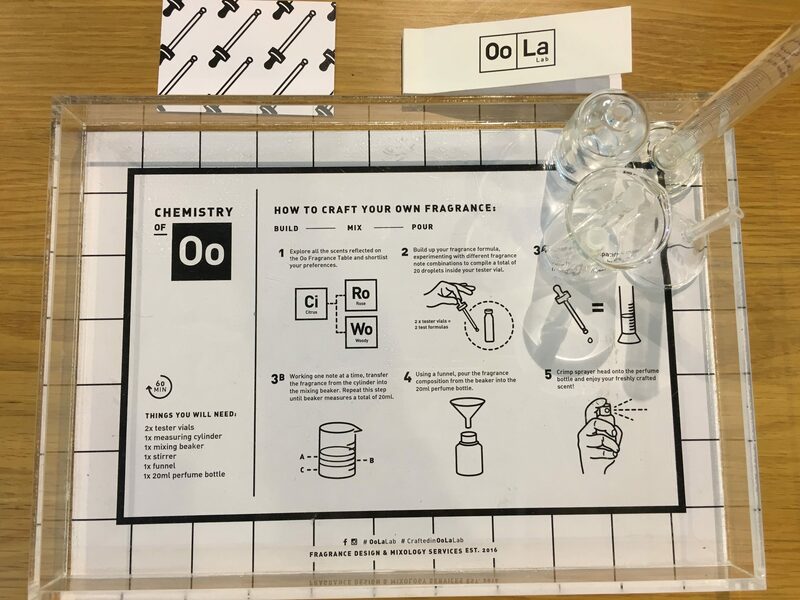 As part of its pop-up store promo this month, up-and-coming fragrance and mixology specialist Oo La Lab has launched Chemistry of Oo, a sensorial workshop where you can not only learn all about fragrance design, but also create your own personalised fragrance. This may seem like a no-brainer, but it’s imperative that you identify 5 to 7 notes (from over 25) you like best to ensure you love your final product. 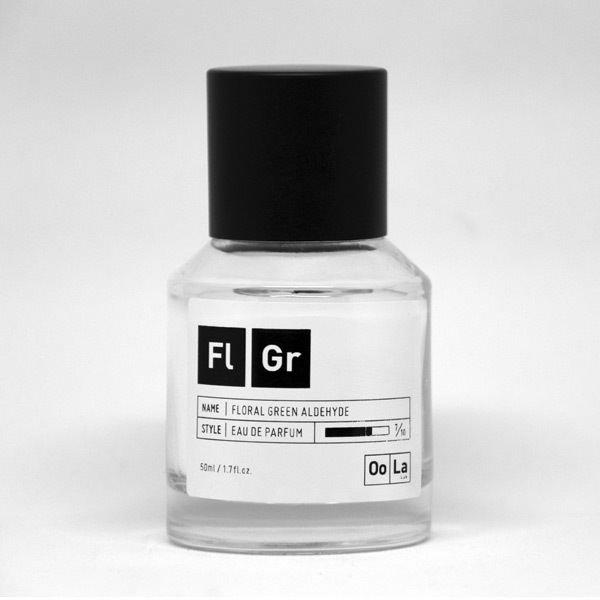 For those unacquainted, ‘notes’ is fragrance terminology for the basic building blocks of scent. Because your fragrance is going to be uniquely you, you’ll need to take note (pun intended) of what you like and have an idea of what fragrance you want to end up with. Notes vary in intensity and type. They can be fresh, floral, oriental or woody. From the subtle and fresh Citrus and Tea scents to the more intense and complex Musk, Chypre and even Leather, there’s something for everyone! After you’ve identified your favourite notes, it’s time to try out the various combinations to see what works best! Since you’ll be combining about 5 notes, you’ll need to experiment with various proportions to see how they turn out. This is where the fun really starts! Participants will each receive a mini chemistry set of sorts, complete with a test tube, beaker, vials and more. 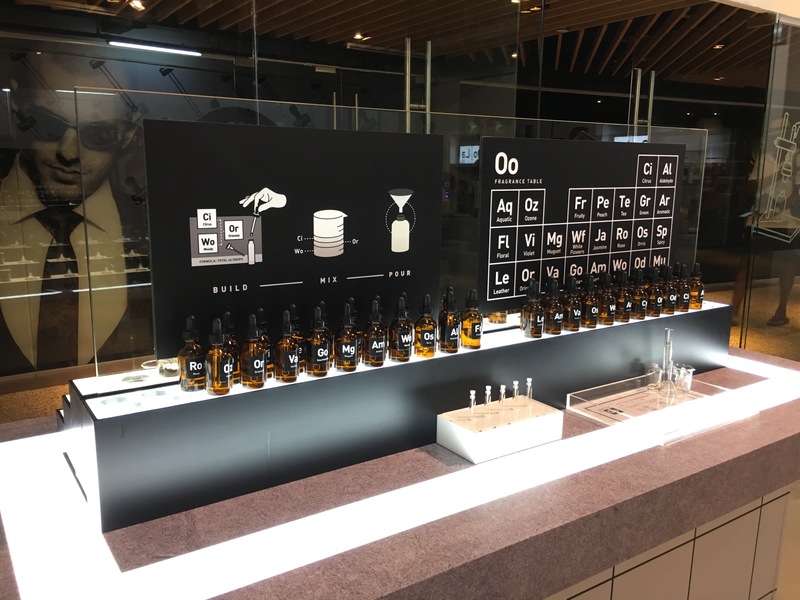 Instructions are clear and easy to follow, and should you have any questions (e.g the ideal ratio), simply ask the staff at Oo La Lab and they’ll be more than happy to give you some tips. Don’t be afraid to make as many attempts as you need to get your fragrance exactly right! 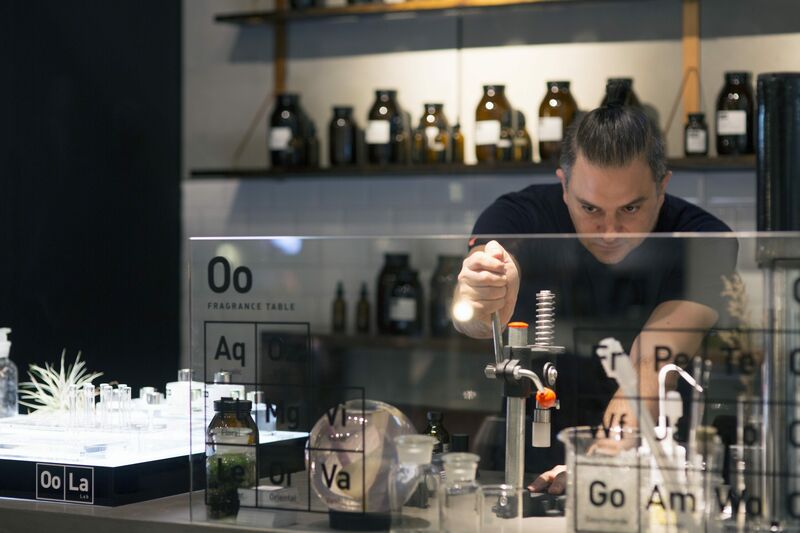 Once you’re happy with your concoction, it’s time to actually build your fragrance and bottle it up! All you have to do is mix the notes in the ratio that you want, but at a much greater volume. This is made easy with the measuring cylinder provided. A checklist will also be provided so you can keep track of all the notes that will go into your bottle. You will be provided with a pretty bottle to keep your fragrance. The default size is 20ml. When you’re done mixing your fragrance, you’ll need to bring your bottle to one of the staff, who will then add a dash of ethanol and finally seal – or crimp – your bottle. 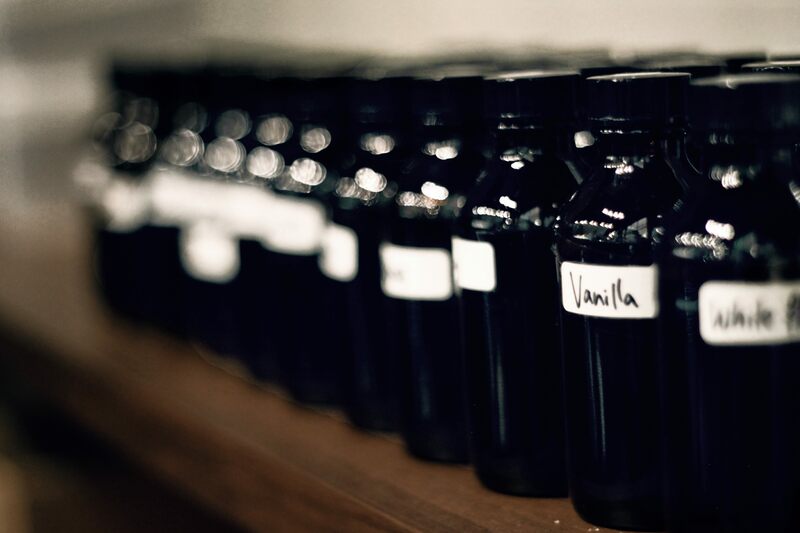 You’ll also get to name your own custom-made fragrance, which will appear on the label! Name it whatever you want and once your bottle is sealed, voilà, you’re done! 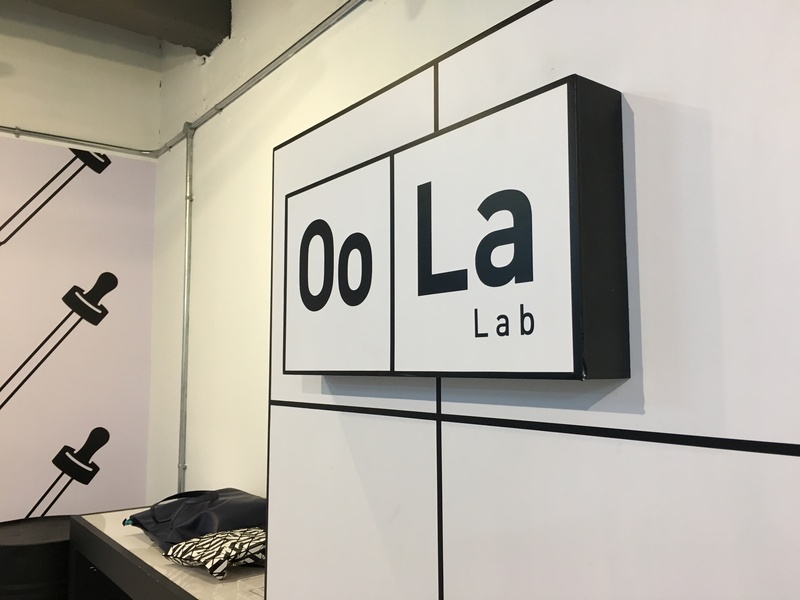 Alright dear readers, we bring you good news – Oo La Lab is currently having a smashing 2-for-1 promotion for its Chemistry of Oo workshop! For just $98 (i.e $49 per person), you and a friend can create something unique together–that’s half the usual price. It’s an informative, engaging, not to mention fun experience! 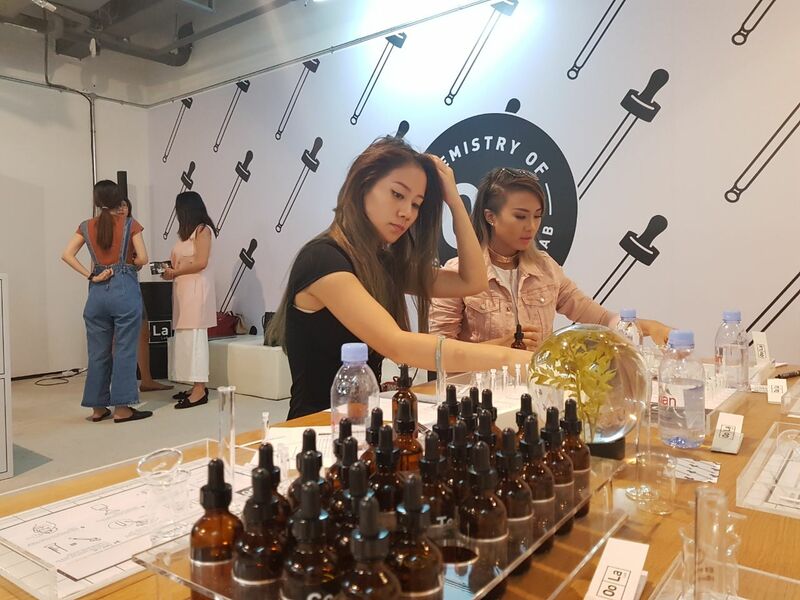 Whether you are new to fragrance or a fragrance connoisseur, you’ll have a scent-sational time here. Simply quote “[email protected]” when you visit the store and you’re good to go! 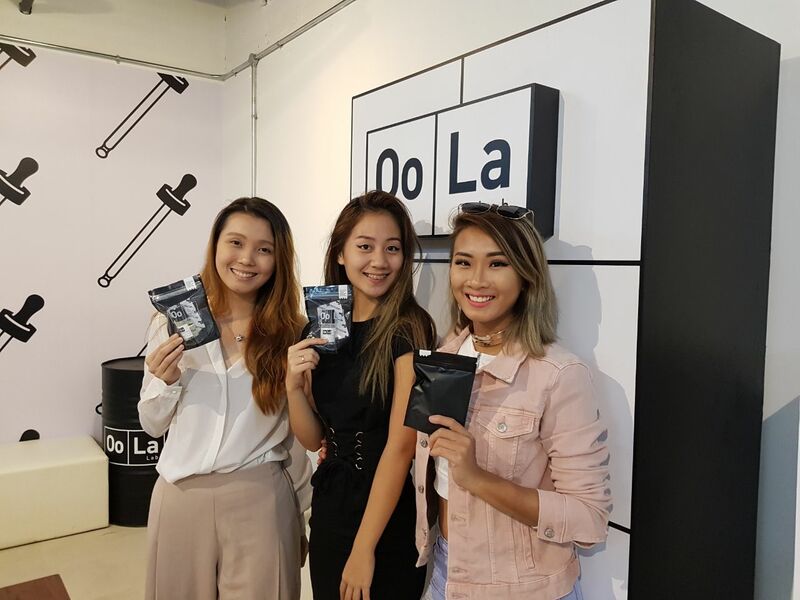 Promotion ends after 30 June 2017, so hurry and make a date with Oo La Lab! Click here to book a slot or simply walk in! Group bookings are also available.